Creating list diagram with free templates and examples. List diagram has never been easier. Lists diagrams are perhaps the most frequently used diagrams and are used to represent non-sequential or grouped blocks of information. There are lots of commonly used lists like block list, picture list, table list, Pyramid list, stacked list, and hierarchy list. 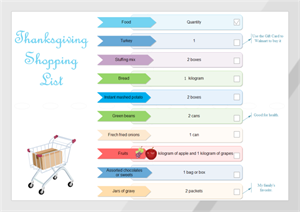 Lists diagrams can clearly show the hierarchical relation of each item in the lists, which makes them quite useful when dealing with the complicated office work. 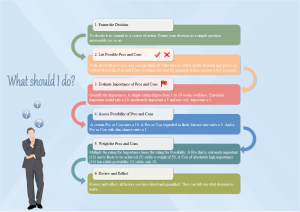 You can discern and analyze the essentials of complicated questions via using lists diagrams to simplify the complex process of evaluate all the relevant factors. Once you are able to skillfully use the lists diagrams, you will love it forever. Edraw includes lots of built-in list shapes for designers to use, through which you can easily create commonly used list, block list, picture list and table list diagrams. You can simply drag and drop the pre-made shapes, no professional drawing skills required. With its intuitive interface, easy-to-use drawing tools, Edraw manages to provide you with solution that meets any requirements of diagram designing. 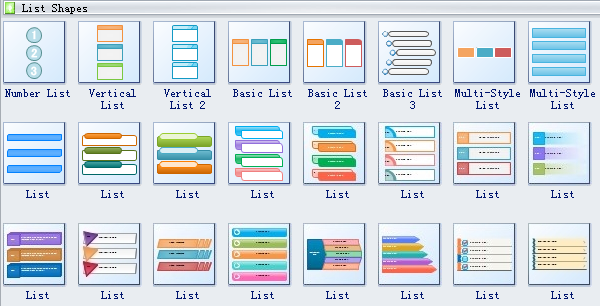 Edraw software has many list shapes including number list, vertical list, basic list, multi-style list. You will surely be surprised when you see these various kinds of list shapes. 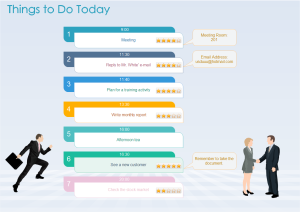 A to-do list template is elaborately prepared in vector format for your own designs. Click the hyperlinked picture to download it; make some modifications and print it. 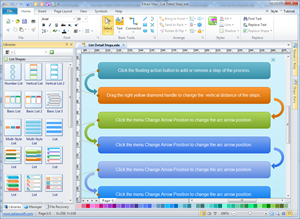 A decision making process template is prepared for users. It is ready to use in vector format. You can also transfer it into other formats in Edraw. This is a sightly shopping list. Print it and it can even serve as a decoration. 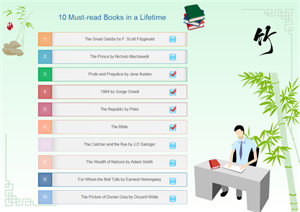 The diagram on the right lists 10 must-read books in a lifetime. Check how many books have you read with it. The Ivy League is a group of eight universities in the northeastern part of the United States, that have high academic and social status. See which are these universities in the right list diagram. Top 10 universities of China are listed in order in the left diagram along with their mottos, in both Chinese and English. These mottos can not only be regarded as school mottos but life motto for all people. This diagram is a list of the top 10 universities in world rankings. Click the image to see large version. Both PDF and eddx formats are available. The background and clip arts can all be replaced if you don't like them.